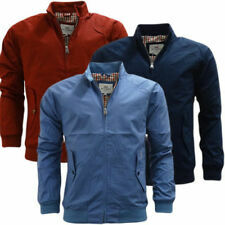 Designed with a collar, long sleeves and a zip up fastening. Could be worn on a number of different occasions. 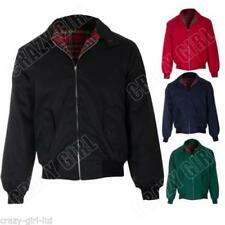 Style: Bomber, Harrington. Neckline: Collared. Colour: Black. Type: Jacket. 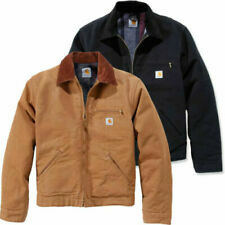 Exact Material: 100% Cotton. Under arm length is 20". This jacket is still in good condition. 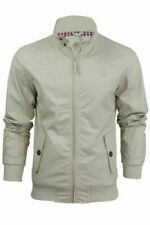 A genuine and 100% authentic lightweight Armani Harrington coat. Light grey in colour with nice Armani detailing. Zip front with two chest pockets. 44 inches across the chest. Quality product. Some very small marks on bottom/front as shown reflected in price. 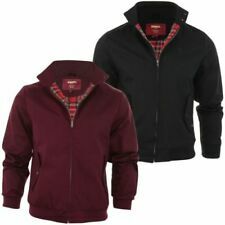 Type: Harrington Jacket. Colour: Burgundy. Label Size: Size 40 Large. Material: Cotton. THE ITALIAN SIZES ARE KNOWN FOR NOT BEING ON THE GENEROUS SIDE! NOTE THAT HOOD ISNOT DETACHABLE. NICE CONDITION THROUGHOUT AS NOT WORN MUCH - LININGS NOT SOILED AND HOOD NEVER USED!